Taking a trip to the city should not have to cost you an arm and a leg. In many cases, most cities are quite walkable and offer a variety of activities to occupy a single day trip. This way, you avoid the costs of an overnight stay, and you get to pack your day full of sightseeing and exploring. When on a budget, you may think that all of your destinations for city visits would have to be small and off the beaten path. However, the following guide will show you that cities, from big to small, can be perfect locations for any traveler on a budget. Jacksonville is a great city destination for beach enthusiasts as it is located on the coast of Florida’s north Atlantic shore. 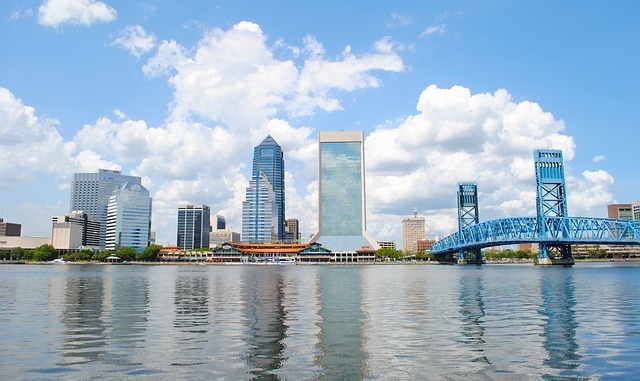 Jacksonville offers art and science museums, a zoo, ecological and nature preserves, options for Broadway shows, and plenty of walkable shops and markets. In Jacksonville, it’s easy to spend the early part of your day relaxing on the beach and later head downtown for sightseeing and events. Grab a snack from a local vendor, or you can even enjoy a fresh-squeezed beverage at a natural juice bar. Philadelphia is a very walkable city with plenty of historical influences comprising the backbone of this former U.S. capital. Here, you can spend time visiting the cobblestone streets of historic Old City Philadelphia, meet a Ben Franklin impersonator, visit the Liberty Bell, and even take a tour of the Betsy Ross House. In addition, you can peruse the halls of Philadelphia’s famous Museum of Art. Science enthusiasts may appreciate an excursion through the Franklin Institute. Philadelphia has plenty of outdoor sights and monuments to visit including Boathouse Row, South Street, and the famous LOVE statue. If you’re hungry, grab an inexpensive bite to eat from many of the local street vendors, or you can even compare the reputations of Pat’s and Geno’s, Philadelphia’s famous rival cheesesteak stands. St. Louis is the perfect Midwest town for a day trip and sightseeing. The town is rather quaint, but it offers several budget-friendly options for tourists. Of course, the Gateway Arch is the town’s most famous monument. This modern architectural marvel can be appreciated at ground level; however, it’s also possible to ride to the top and get spectacular views of the city and the Mississippi River. If a fan of baseball, you can easily watch a Cardinals game from affordable seats at Busch Stadium. Those more inclined to outdoor activities may enjoy an excursion to Forest Park, which is easily accessible by metro. The park was home to the 1904 World’s Fair, and it is considered one of the largest city parks in the nation. When weather is pleasant, the park usually features weekly events, including free Shakespeare in the park performances. Though reputable for its glitz, glamour, high-end shopping, and spectacular Broadway shows, New York can be a rather affordable destination for a day trip. Replete with plenty of outdoor monuments and historical tours, New York can truly be appreciated on a budget. Visits to Central Park, Ellis Island, the Statue of Liberty, Rockefeller Center, and the Empire State Building are perfect sites for a budget tourist. Instead of dining in some of the city’s most elegant restaurants, grab a snack from a local hot dog vendor or stop inside some of the city’s reputable pizza shops for a delicious cash-saving bite to eat. Similar to Philadelphia and New York City, Washington, D.C. offers plenty for a tourist to enjoy while on a tight budget. By just walking about our nation’s capital, you will be able to see many famous landmarks, including the White House, the Lincoln Memorial, and the Washington Monument. The city is also known for its artistic scene away from the capital. Explore some of the city’s smaller galleries to embrace the fine artwork produced by local artists. It can be a wonderful experience simply to chat with local artists about their work and to compliment them for their unique artistic visions. In summary, it’s not necessary to drop hundreds of dollars for a day trip to the city. If none of these cities is local for you, check out some of the closest destinations in your area in order to arrange the perfect day trip. As long as you plan it right, you will find plenty of entertaining things to do in any city without spending a lot of money. The only places I’ve been on this list are DC and NYC. Thanks for inspiring me with new places to visit!